South Australia should look up to Germany for inspiration if it wants to help its struggling manufacturing sector, says the State’s Manufacturing Minister Tom Kenyon. ABC News revealed, Mr. Kenyon delivered the statement to a manufacturing conference, citing the similarities of South Australia and the European country. According to Kenyon, Germany also has a strong currency, high labour costs and a similar regulatory environment to SA. “They have a thriving manufacturing sector and an unemployment rate in the five per cent range. There is nothing there that we can’t replicate,” Mr. Kenyon said. “They are not supermen. They are not smarter than us and they are not harder working than us. The manufacturing sector of South Australian has recently been hit with a series of job losses including those from companies like Holden and Hills Holdings. 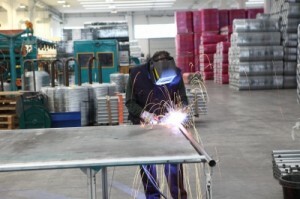 ABC News reported that the State Government introduced a plan last year to boost manufacturing investment and safeguard jobs. “The $11 million Manufacturing Works scheme was set up to encourage collaboration between companies and research organisations and make it easier to access industry funding,” says ABC News. The State’s opposition last week claimed that the number of South Australian jobs has hit a record low, citing data from the Bureau of Statistics which revealed that about 28,000 manufacturing jobs have been lost since May 2002. However the Government discredited these claims, saying the statistics did not reflect the changes to the definition of manufacturing jobs in those years.